CSE Automotive Technologies Sdn. Bhd. is proud to announce that we have been named Best After Sales Service during the annual Honda Malaysia Supplier Conference which was held on 28th April 2018. The yearly conference acts as an appreciation dinner for all Honda suppliers as well as a way of providing an update of Honda Malaysia’s future plans or objectives. 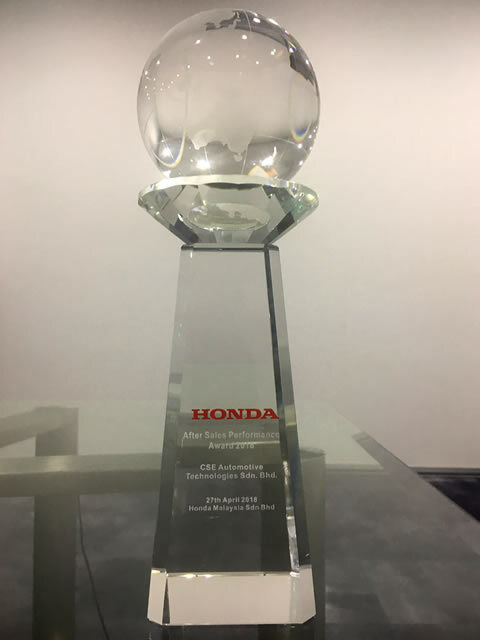 We at CSE would like to graciously thank Honda Malaysia for this prestigious award and for their continuous support and confidence over the years. This achievement has further cemented CSE’s commitment to provide our customers with the highest quality products and best after sales services.